Introducing the Givenchy Pre-Fall 2016 Bag Collection. 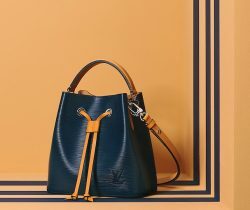 The brand’s newest bag, the Horizon Tote Bag is introduced this season. Givenchy’s classic handbags such..
Presenting the Givenchy Pre-Fall 2016 Collection. Givenchy’s latest collection features a wardrobe that caters to different kinds of women. From feminine lace dresses,..